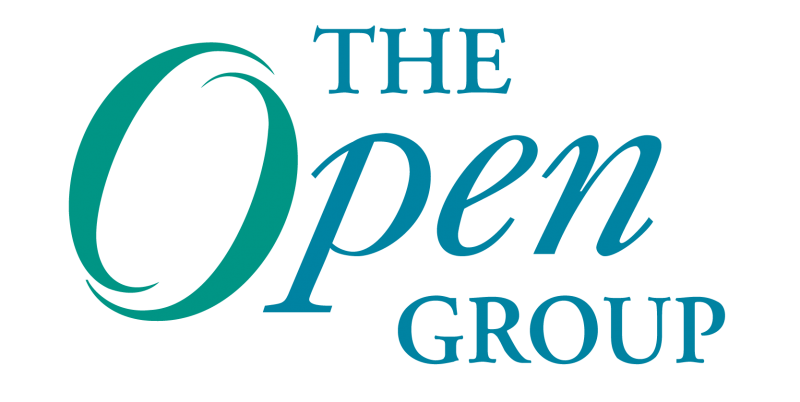 July 23, 2012 The Open Group Blog Conference, Cybersecurity, Enterprise Architecture, Information security, OTTF, Security Architecture, Supply chain risk, TOGAF® Comments Off on Summer in the Capitol – Looking Back at The Open Group Conference in Washington, D.C. This past week in Washington D.C., The Open Group held our Q3 conference. The theme for the event was “Cybersecurity – Defend Critical Assets and Secure the Global Supply Chain,” and the conference featured a number of thought-provoking speakers and presentations. Cybersecurity is at a critical juncture, and conference speakers highlighted the threat and attack reality and described industry efforts to move forward in important areas. The conference also featured a new capability, as several of the events were Livestreamed to the Internet. For those who did not make the event, here’s a summary of a few of the key presentations, as well as what The Open Group is doing in these areas. Joel Brenner, attorney with Cooley, was our first keynote. Joel’s presentation was titled, “Turning Us Inside-Out: Crime and Economic Espionage on our Networks,” The talk mirrored his recent book, “America the Vulnerable: Inside the New Threat Matrix of Digital Espionage, Crime, and Warfare,” and Joel talked about current threats to critical infrastructure, attack trends and challenges in securing information. Joel’s presentation was a wakeup call to the very real issues of IP theft and identity theft. Beyond describing the threat and attack landscape, Joel discussed some of the management challenges related to ownership of the problem, namely that the different stakeholders in addressing cybersecurity in companies, including legal, technical, management and HR, all tend to think that this is someone else’s problem. Joel stated the need for policy spanning the entire organization to fully address the problem. Kristin Baldwin, principal deputy, systems engineering, Office of the Assistant Secretary of Defense, Research and Engineering, described the U.S. Department of Defense (DoD) trusted defense systems strategy and challenges, including requirements to secure their multi-tiered supply chain. She also talked about how the acquisition landscape has changed over the past few years. In addition, for all programs the DoD now requires the creation of a program protection plan, which is the single focal point for security activities on the program. Kristin’s takeaways included needing a holistic approach to security, focusing attention on the threat, and avoiding risk exposure from gaps and seams. DoD’s Trusted Defense Systems Strategy provides an overarching framework for trusted systems. Stakeholder integration with acquisition, intelligence, engineering, industry and research communities is key to success. Systems engineering brings these stakeholders, risk trades, policy and design decisions together. Kristin also stressed the importance of informing leadership early and providing programs with risk-based options. Dr. Ron Ross of NIST presented a perfect storm of proliferation of information systems and networks, increasing sophistication of threat, resulting in an increasing number of penetrations of information systems in the public and private sectors potentially affecting security and privacy. He proposed a need an integrated project team approach to information security. Dr. Ross also provided an overview of the changes coming in NIST SP 800-53, version 4, which is presently available in draft form. He also advocated a dual protection strategy approach involving traditional controls at network perimeters that assumes attackers outside of organizational networks, as well as agile defenses, are already inside the perimeter. The objective of agile defenses is to enable operation while under attack and to minimize response times to ongoing attacks. This new approach mirrors thinking from the Jericho Forum and others on de-perimeterization and security and is very welcome. The Open Group Trusted Technology Forum provided a panel discussion on supply chain security issues and the approach that the forum is taking towards addressing issues relating to taint and counterfeit in products. The panel included Andras Szakal of IBM, Edna Conway of Cisco and Dan Reddy of EMC, as well as Dave Lounsbury, CTO of The Open Group. OTTF continues to make great progress in the area of supply chain security, having published a snapshot of the Open Trusted Technology Provider Framework, working to create a conformance program, and in working to harmonize with other standards activities. Dave Hornford, partner at Conexiam and chair of The Open Group Architecture Forum, provided a thought provoking presentation titled, “Secure Business Architecture, or just Security Architecture?” Dave’s talk described the problems in approaches that are purely focused on securing against threats and brought forth the idea that focusing on secure business architecture was a better methodology for ensuring that stakeholders had visibility into risks and benefits. Geoff Besko, CEO of Seccuris and co-leader of the security integration project for the next version of TOGAF®, delivered a presentation that looked at risk from a positive and negative view. He recognized that senior management frequently have a view of risk embracing as taking risk with am eye on business gains if revenue/market share/profitability, while security practitioners tend to focus on risk as something that is to be mitigated. Finding common ground is key here. Katie Lewin, who is responsible for the GSA FedRAMP program, provided an overview of the program, and how it is helping raise the bar for federal agency use of secure Cloud Computing. The conference also featured a workshop on security automation, which featured presentations on a number of standards efforts in this area, including on SCAP, O-ACEML from The Open Group, MILE, NEA, AVOS and SACM. One conclusion from the workshop was that there’s presently a gap and a need for a higher level security automation architecture encompassing the many lower level protocols and standards that exist in the security automation area. The Security Forum and the Architecture Forum, which have a very active project collaborating on the integration of security into the next version of TOGAF. The Real Time and Embedded Systems Forum, which continues to do great work on MILS standardization and on DEOS and dependability at the OS level. All in all, the conference clarified the magnitude of the cybersecurity threat, and the importance of initiatives from The Open Group and elsewhere to make progress on real solutions. Join us at our next conference in Barcelona on October 22-25! Jim Hietala, CISSP, GSEC, is the Vice President, Security for The Open Group, where he manages all IT security and risk management programs and standards activities. 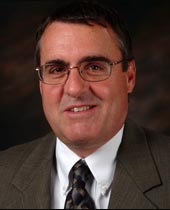 He participates in the SANS Analyst/Expert program and has also published numerous articles on information security, risk management, and compliance topics in publications including The ISSA Journal, Bank Accounting & Finance, Risk Factor, SC Magazine, and others.